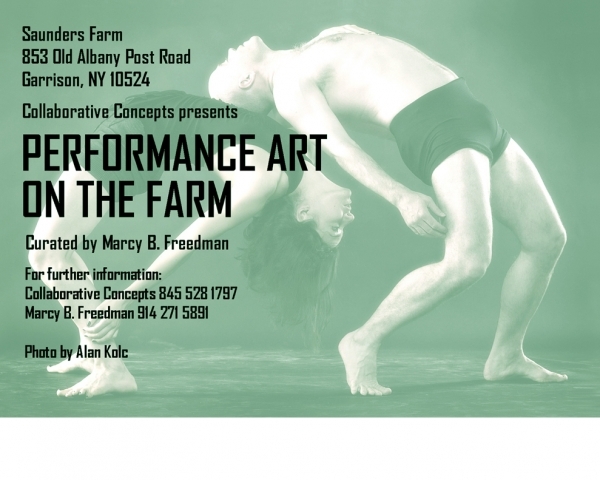 In 2009, I was the first performance artist to appear in the annual Collaborative Concepts’ Farm Project. 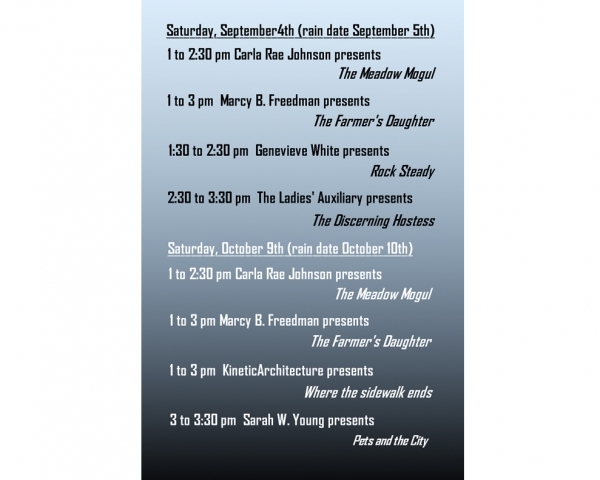 Then, in 2010, I was invited to return as a performance artist and as the Curator of Performance Art. 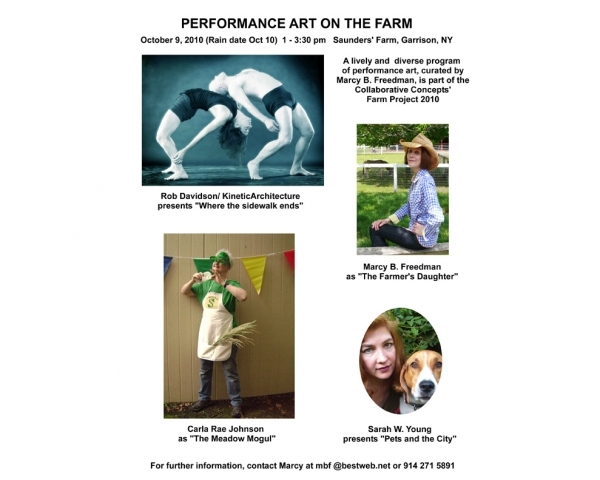 I scheduled performances for the opening and mid run receptions.